Happy Sunday! I hope you all had a good week and are enjoying your weekend so far. As most of you know I am a member of the Into The West Blogger Network. Before we had our last event in May where we celebrated the very first birthday of the network, you can read about it here. Sinead and Saibh decided to have an #itwbn twitter party. 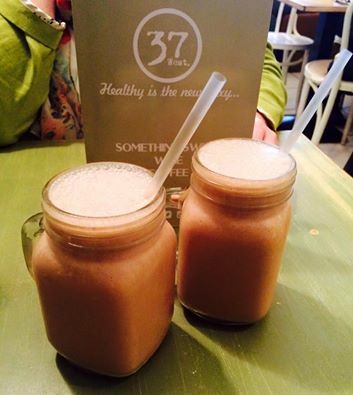 One of the prizes on the night was lunch for two at 37 West in Galway. I was lucky enough to be the winner. I was delighted! So last Monday I decided to go shopping with my Mum and treat her to lunch in 37 West and boy were we in for a treat. For any gymbunnies or clean eaters out there it is a dream come true. When we arrived it was lunch time so it was very busy. We were greeted straight away by a friendly girl who immediately brought us to our table. She gave us menus and brought us a huge jug of water with mint leaves in it. I was so excited because I love this touch and I love how refreshed you feel after drinking it. She gave us a few minutes to decide what we would like to order. I choose ' The Superfood Salad' and my Mum had a 'Smoked Salmon Salad' which was on special that day, we also ordered brown bread for a side portion. 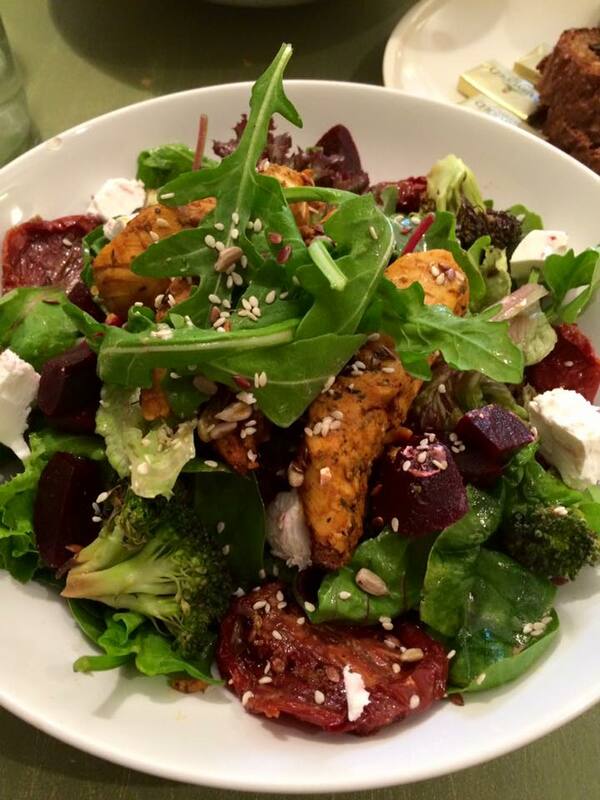 Even though the restaurant was so busy we didn't need to wait long for our salads to arrive. The presentation was lovely and looked and smelt so delicious. The salad was so fresh and crisp and the chicken was so nice. Mum absolutely loved her meal too. We didn't realize just how big the portions were when we ordered the bread on the side but we kept eating because it was so yummy. The brown bread was also gorgeous it was like it was freshly baked that morning. When we finished our meal of course we had to get dessert, we have heard so many good reviews about the juices and smoothies 37 West makes so we just had to try one. We both decided on 'The LB Chocolate Date'. I make my own juices and smoothies at home and am always researching and trying new recipes, but I think its safe to say that 'The LB Chocolate Date' is by far the nicest 'dessert style smoothie' I have ever tasted. It is to die for! My Mum and I both loved it. Overall I had a very pleasant experience at 37 West and cannot wait to visit again. I cannot recommend this place highly enough. The staff are so friendly and welcoming. The food is delicious and there is so much to choose from. 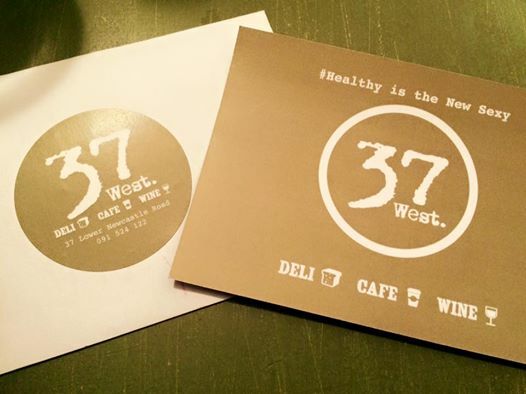 Pat Divilly helped with the menu to ensure that the healthiest options are available to 37 West customers. What more could you ask for? 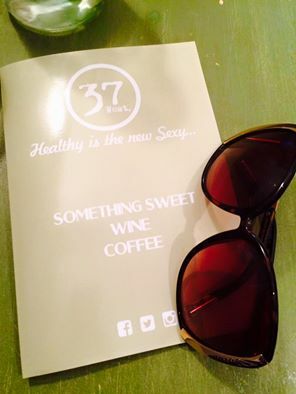 I would like to take this opportunity to thank all of the lovely staff at 37 West for been so kind and welcoming. All of your hard work did not go unnoticed. So Thank you again! I can't wait for my next visit. I would also like to thank Saibh and Sinead for introducing me to my new favourite place to eat in Galway! Have any of you visited 37 West? What meals would you recommend? If any of you haven't been and go after reading my review, please let me know. I'd love to know your thoughts!